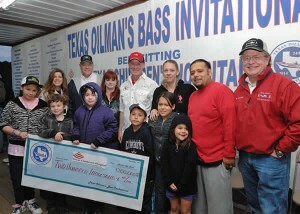 24th annual Texas Oilman’s Bass Invitational (TOBI) completes $125,000 donation to Texas Children’s Hospital Renal department. In 24 years TOBI has donated over $2.3 million dollars to Texas Children’s Hospital. Weir Oil & Gas and Seaboard International have been major donors of TOBI for past years. Pictured at the donation ceremony are Alan Stubblefield – TOBI President/Sr. 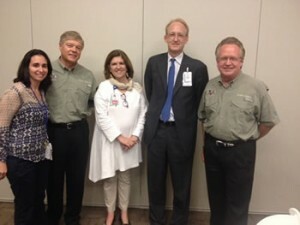 VP Southwestern Energy, Dr. Michael C. Braun – Chief of Service Texas Children’s Hospital Renal Department, and Randy Connor – TOBI Sponsorship Chairman/Account Manager Weir Seaboard, and additional staff of the Renal Department.